You’re probably going to want to know about Grand Marais’ Mayhew Inn, the town’s only boutique hotel. 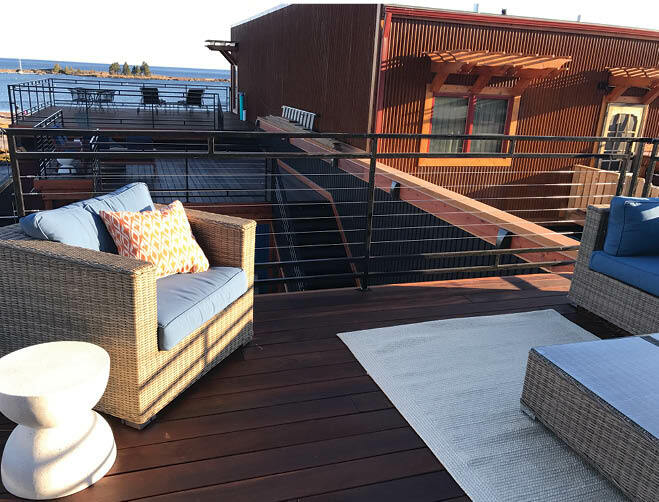 The cool, cozy property, which opened in spring 2018, is smack-dab in the middle of downtown, and of course it has the stellar Lake Superior views you expect of the North Shore. 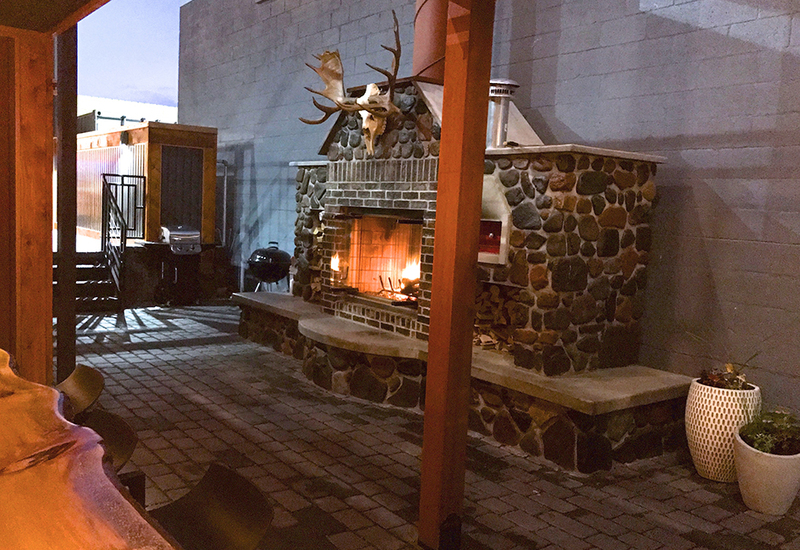 “We’re still experimenting, but our overall entertaining capacity would be somewhere in the world of 100 to 125 including the decks, courtyard areas, lounge and lobby,” says co-owner Joel St. John. One of the property’s biggest draws, besides the great location, is the unique design and refined rustic décor. Think turntables in the lobby, quirky wallpaper and a custom outdoor pizza oven. And if “custom outdoor pizza oven” wasn’t on your wedding must-have list before, it should be now.